Contacting the leader of a vast corporate empire via email doesn't usually yield results. 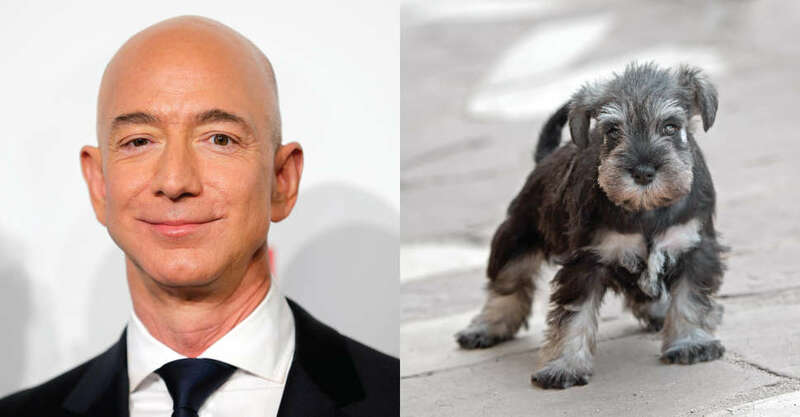 But when Richard Guttfield's dog was stolen by an Amazon delivery driver, a message to Jeff Bezos was somehow the only thing that worked. Guttfield, a resident of Hertfordshire, United Kingdom, noticed his 11-month-old miniature schnauzer, Wilma, was missing last Friday. Since his dog's disappearance coincided with an Amazon delivery at his home, Guttfield quickly correlated the two events and started badgering Amazon to investigate the matter. Further adding suspicion to the whole thing: the delivery was a package containing dog food. The company's customer service reps had little interest in tracking down the purloined puppy until Guttfield, on a quest to rescue his true love from an unknown fate, swung for the fences and demanded action from the world's wealthiest man. Bezos reportedly heeded the call, probably sending an angry email that made many employees nervous. Wilma was returned to Guttfield earlier this week, according to a report by Business Insider, after the company used its location tracking tools to find the delivery driver, who worked for an Amazon supplier. Concerning its new association with a stolen dog, an Amazon spokesperson said in a statement: "This is inexcusable and does not reflect the high standards we have for our delivery partners. We take these matters seriously and this individual is no longer delivering Amazon packages for the independent delivery service provider." Guttfield, for his part, is happy that Bezos unexpectedly sprung to action. "It was rather a long shot to go right to the top and email Jeff Bezos, but then all of a sudden things started to happen," he said, per the report. "We got a reply from someone who said he was in receipt of my email and had asked him to contact us." In case you'd like to holler at Bezos for whatever reason, his email is jeff@amazon.com.